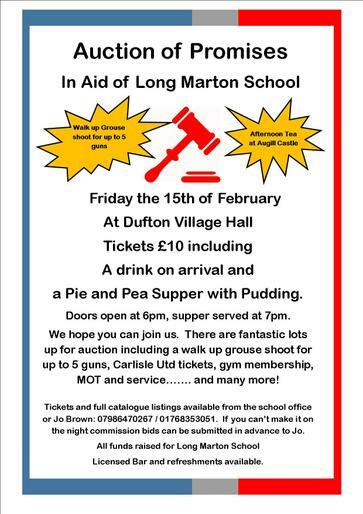 FoLMS are organising an Auction of Promises on Friday 15th February at Dufton Village Hall. Tickets, which include a pea and pie supper, are £10. Please visit our FoLMS page to see the catalogue and further details.